The two finalists in the AgriScot Scottish Sheep Farm of the Year awards have been unveiled. The finalist farms were selected from a strong line-up of nominations, and while the businesses themselves are quite different, both are run by producers dedicated to producing first-class, quality assured sheep and lambs. The finalists farms are Bowhill Farming in Selkirk, managed by Sion Williams, and Incheoch in Alyth, run by Neil and Debbie McGowan. Both farm businesses share a commitment to constantly looking for ways to improve productivity and efficiency. Bowhill Farming is a 5,643 hectare farm near Selkirk and forms part of the Borders Estate under Buccleuch. It runs 6,800 ewes as well as 500 suckler cows, more than 100 red deer and an anaerobic digester, and is managed by Sion Williams and his team of 10 employees and three apprentices. 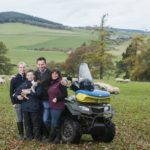 Situated at the foot of Glenisla near Blairgowrie, Incheoch is a 485-hectare upland unit farmed by husband and wife team Neil and Debbie McGowan. In partnership with Neil’s parents Finlay and Judy and sister Clare, they run 1,100 performance recorded Lleyn ewes as well as more than 200 Luing and Simmental cattle. 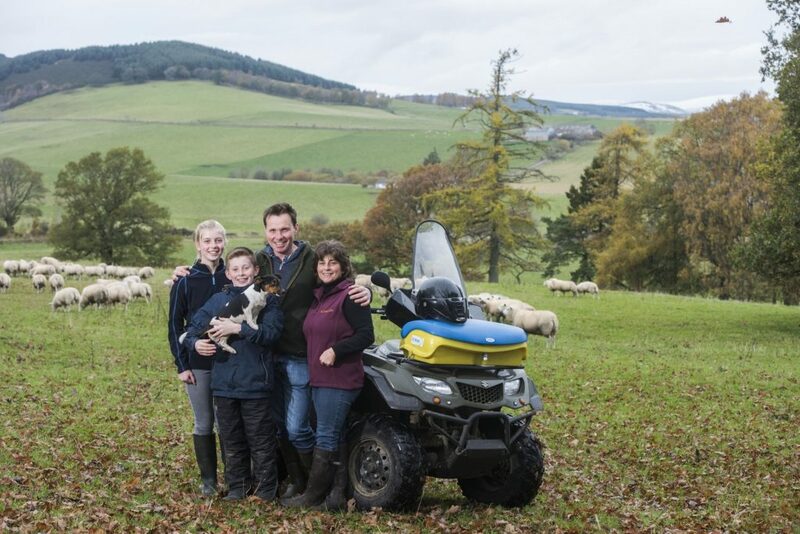 The aim of the AgriScot Scottish Sheep Farm of the Year Award is to showcase excellence in sheep production in Scotland and to raise the profile of the dedication of the Scottish sheep farmers who produce Scotch Lamb PGI. The recipient of the award will receive a £500 cheque as well as a £250 voucher to celebrate their success at a Scotch Beef Club restaurant, and the winner will be revealed on at AgriScot on Wednesday November 21. The assessors for the award this year are Hamish Dykes, AgriScot board member, Dr Heather McCalman, Knowledge Transfer Specialist at Quality Meat Scotland and Charley Walker, recipient of AgriScot Scottish Sheep Farm of the Year 2017 award.